The Asus VZ249H is targeted at the budget end of the market so if you are looking at this I guess you are content to stay away from the premium end of the market. So what are you getting for your money in this package? 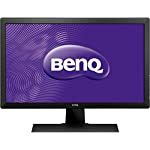 A standard 1080p HD monitor backed by an IPS panel. The most impressive thing about this is its overall style. It’s a good looking and super thin model, reaching just 7mm in depth at it’s thinnest. The extra thin bezels combined with the reasonable cost will also make this a viable option for a multi screen setup, three of these lined up next to each other are going to look really good. They would look right at home in a professional looking office. You’ll see from the photos that the bezels around this slender looking model are very thin, this is the frame around the screen itself. Generally thinner is preferred as not only is it aesthetically pleasing but it is less distracting during use. It is also perfect for multi monitor setups, you can hook two or more of these up with minimal border between each! The screen itself is matt which helps minimise reflections. The stand is not great, it is not overly stylish nor functional offering just a tilt capability. Fortunately it is mountable with VESA 100 x 100 fittings. I would think most people buying this would go for a multi monitor stand and set two or more side by side. 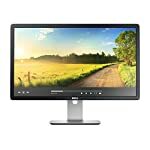 Annoyingly the control buttons on this monitor are situated round the back which makes things a bit awkward, so whilst this makes for a cleaner look front on it might put some off if you regularly switch to different modes during use. Ports include two HDMI inputs which is useful if you want to have more than just your PC connected to this. There is also a legacy VGA port if you have older devices, but otherwise this is fairly redundant with modern technology. There are two 3.5mm jacks, one is a speaker input for use with VGA and the other is headphone output. 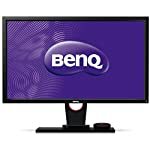 This monitor is designed to run at 60Hz at 1920×1080 but note it is possible to run at 75hz at lower resolutions, 1280×1024 for example. There are various overclocking guides round the net if that interests you but most owners are going to run at the native resolution and frame rate. Professional testers report that the colour accuracy of the screen isn’t spectacular and is beaten by competitors however it measures up better when it comes to contrast. Back light bleed is also minimal. The results can be classed as good, but there is better out there. Input lag and response also comes up within tolerable limits for casual gamers so you’ll find this to be a good all rounder, but note that it does not feature game orientated functionality such as adaptive sync. We give the Asus VZ249H a 3.5 out of 5 rating. Want to know what existing owners of the monitor think? You can read real user reviews here. 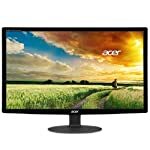 Should I buy the Asus VZ249H? The ASUS is a reasonable all rounder, some will like the IPS panel and the preferential viewing angles it offers. However the colour accuracy and stand quality can be beaten by competitors in this price bracket. 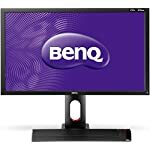 The thin bezels and overall look are the real selling point of this monitor, ideal for a multi monitor setup. If you are having some doubts about this purchase then why not read some real owner reviews and see what other buyers think.